My latest Juried Exhibition piece, at the South Shore Art Center June 19-21st! While I’m working on a number of larger paintings, I have a recent new small scale piece that was accepted in the 60th South Shore Arts Festival Juried Show coming up June 19th, 20th & 21st. 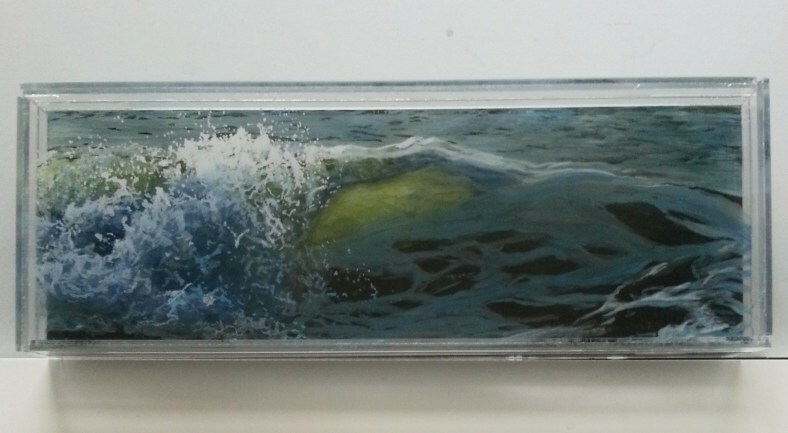 It is 5″ x 13″ and is acrylic paint on three separate panels of acrylic. The reference for the work was an evening at Cisco beach in Nantucket. 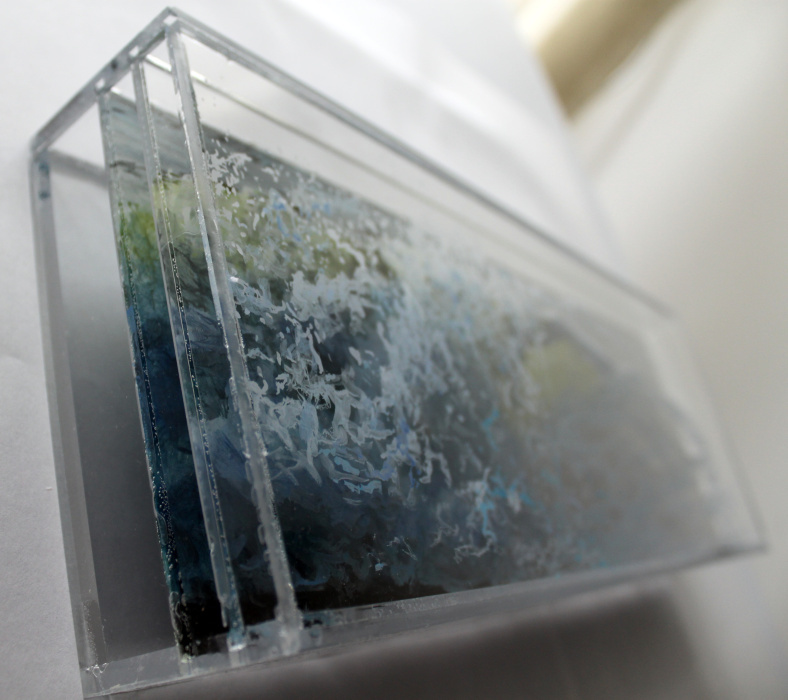 This piece is all about light and the translucency of water and I loved how the waves were back lit that day. I’m looking forward to doing more (and larger!) pieces in this vein. The Art Festival is on Cohasset Common among many other artists and artisans. It’s Father’s Day weekend too so bring your dad! I’m working on a number of new pieces so will update soon!